On Saturday, Rosa returned to El Coyolar with a small casket in order to attend a wake held by her boyfriend and his relatives. 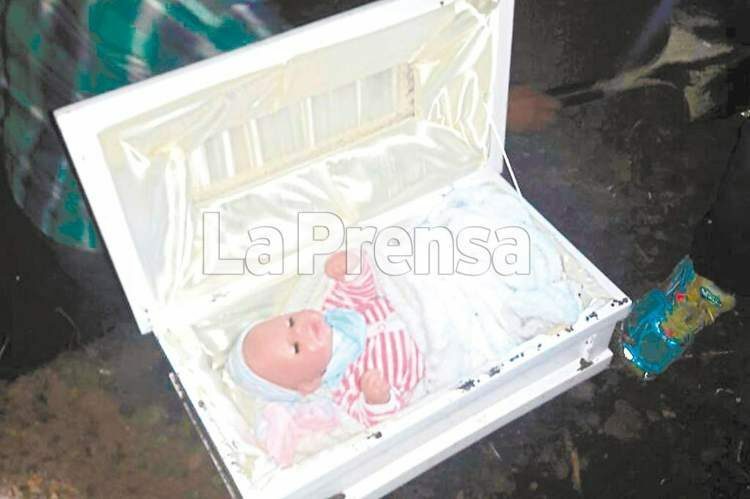 When people started asking if they could see the infant, the woman told them that the casket had been sealed by the hospital and she had been instructed not to open it. The wake proceeded as planned, with everyone expressing their sorrow and paying respects to the grieving parents. Melvin was so grief-stricken that he even had to be propped up by friends while watching his child’s coffin be buried. After the funeral, everyone focused their attention on the living twin, who was fighting for its life in Escuela Hospital. However, for some people, something about Rosa’s story just didn’t add up. Many of Melvin’s friends had long suspected that the woman had made the entire pregnancy up in order to keep their relationship going. Melvin’s friends recorded the entire horrifying discovery with cell phones as proof of Rosa’s trickery. 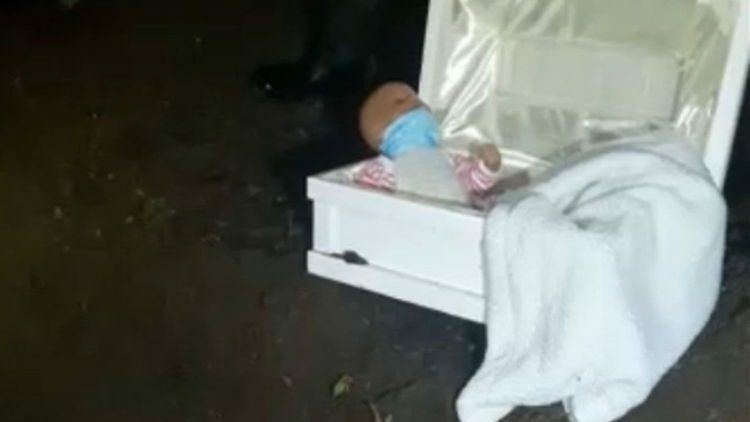 They then took the casket and video evidence to the police and returned the doll to Rosa to show they knew of her deception. Surprisingly, after learning of his girlfriend’s trickery, Melvin actually did not press charges on Rosa and asked the police not to pursue further action against her. Although it has yet to be confirmed, given the creepy discovery, it is highly likely that the second infant does not exist either. This strange incident demonstrates the amazing and sometimes twisted power of love. While it can inspire us to do incredible things and make great sacrifices, it can also embolden us to carry out crazy acts, such as those in this bizarre event.